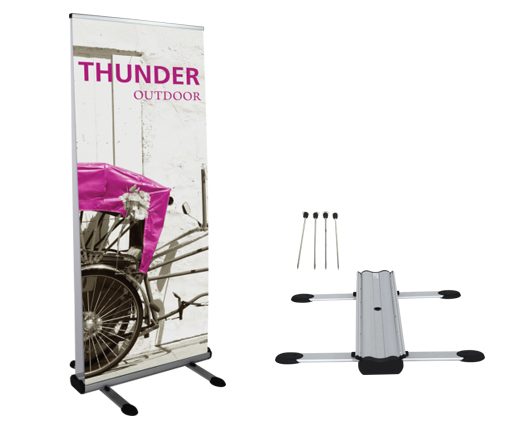 This double-sided banner stand is perfect for outdoor use. Heavy duty construction includes flex spring at base of poles to withstand strong winds. Also includes steel ground stakes to stick in the ground for added support.